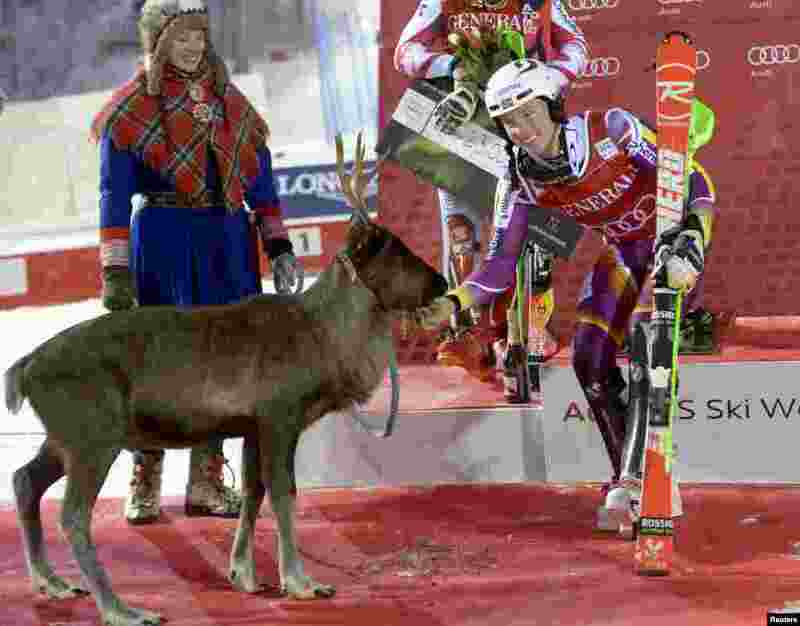 1 Henrik Kristoffersen of Norway poses with the "victory reindeer" Lars, named after his father, after winning the men's slalom event during the FIS Alpine Skiing World Cup race in Levi, Kittila. 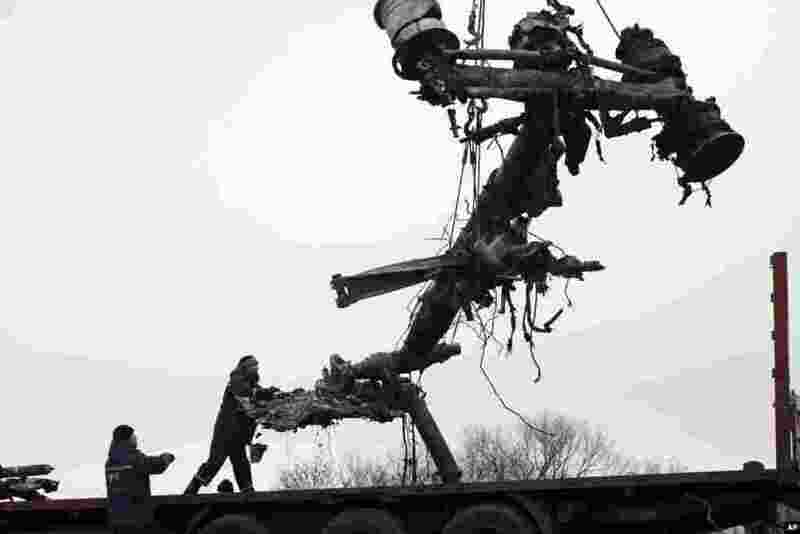 2 Recovery workers in rebel-controlled eastern Ukraine load debris from the crash site of Malaysia Airlines Flight 17 in Hrabove, Ukraine four months after the plane was brought down. 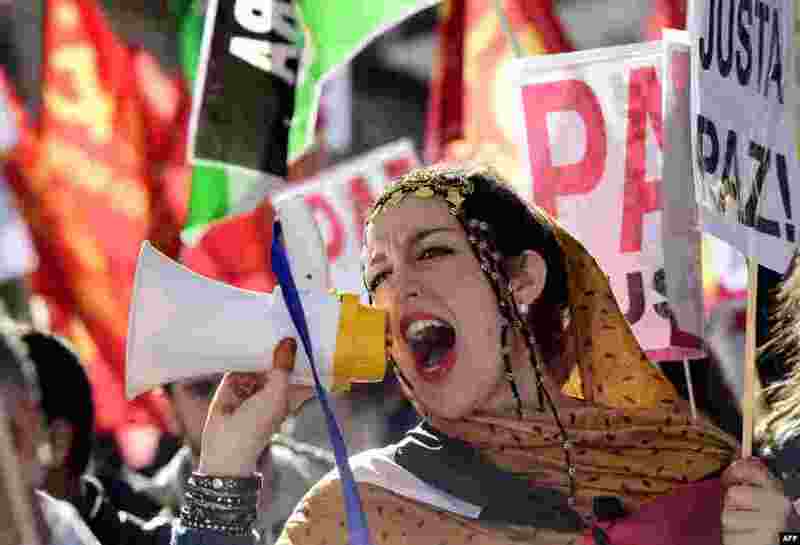 3 A woman shouts slogans using a megaphone during a demonstration stage in support of the independence of the Western Sahara in Madrid as the 39th European Conference for support and Solidarity with the Saharawi People (EUCOCO) is held. The Western Sahara is a territory bordered by Morocco and Algeria and disputed by Spain and Morocco who both claim sovereignty. 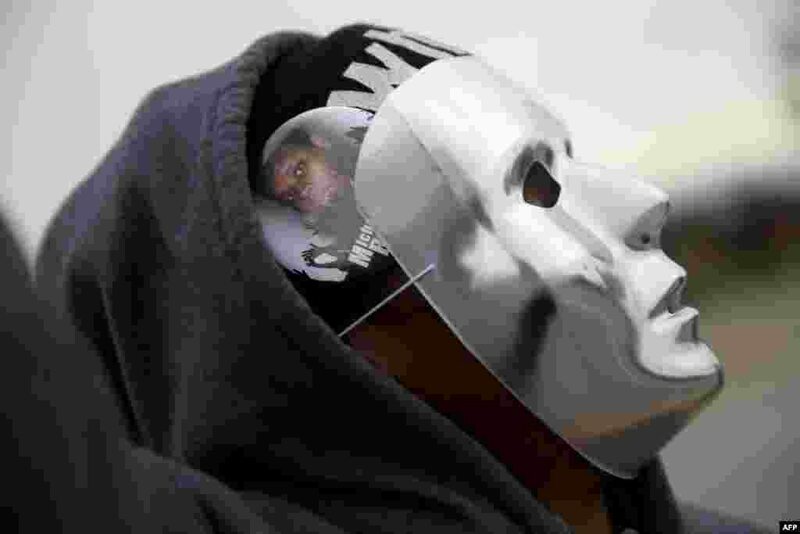 4 A demonstrator wears a picture of Michael Brown as she joins with others alongside a highway overpass to voice their opinions as the area awaits a grand jury decision near Ferguson, Missouri, Nov. 15, 2014.